Below are various excerpts from over the years which help to explain the journey which we have taken and will hopefully give you some idea as to the thoughts and complexities which make up the alliance between Sheila, Susan and of course the body of consciousness they know as 'Sounds From Source'. So what is the Sounds from Source difference, or what is it that Sounds form Source can offer to you that is just not available anywhere else? The Sounds from Source programs are we believe unique, they combine the resonance and frequency of a specific set of Tibetan Tingshaw bells, the power of intention and specific ‘words and phrases’ which are syllabalized by Sheila as she ‘rings the bells. Sound engineers in different recording studio’s over the years have commented on the purity and resonance which is emitted during sessions and there have been descriptions of anywhere from three to six different resonances within the bells themselves. In late 2004 Sheila explored being able to communicate with the cells of the body in an effort to deal with her own allergies by utilizing an ‘Anxiety sound’ she had created a few months previously as she was aware that many of the clients she saw had what she described as Anxiety from Conception. Suddenly able to eat and tolerate a range of foods that she could never have considered before she ‘played’ with a few more sounds over a period of time. It was in these early days of ‘playing’ with words to communicate with the cells of the body that an ‘energetic source’ contacted Sheila and offered its assistance. Sheila has spent a lifetime as an intuitive empath and psychic medium and a communication from a higher source was not anything unusual to her at all. The original sounds for which she rang the bells for each client as was appropriate included Genetic Memory, Weight, Universal Abundance, Negative Influences, Malfunctioning Cells, Earthbound and Earthbound Attachments and Fear. It was Susan’s belief that these ‘sounds be shared with the world that brought about the original website called The Healing Sounds, as the body of consciousness that Sheila and Susan originally recognised as TATTI, ‘ The All That There Is’ or the Source of the Healing Sounds as they referred to it as and as many different ‘giftings or downloadings’ of information where channeled through. Sheila has often said that if she had studied for fifty years she would not know the depths and levels of information contained in many of the ‘sounds’. Many hours were spent with Sheila and Susan discussing the information given and coming to terms with new understandings and ways of thinking as well as numerous new sound programs as often the new sound arrived just before the client did or in response to a specific situation. Tonight I sat talking to Susan on the telephone about the sounds and some new developments and realisations which had happened today. We spoke about the sounds and the original words that I had written about them and Susan suggested that rather than revamp my original explanation, that I should just write a new one. When we were gifted the Sounds from Source, originally named The Healing Sounds we were surprised and amazed at the levels that they worked on and the levels of cellular memory that they worked to. As the sounds grew so did we, often challenged or in chaos as a new sound presented itself, no easy task was this. I would some times express to Susan a feeling of ‘not being well’ nothing specific just not well, Susan would in her own words ‘rub her hands in glee’ as these were the times that I worked at my best, often with information coming through in a rapid fire fashion, and Susan writing as I spoke. We were very aware when the original series of the sounds changed and became deeper and more specific in their information, and from then there have been many changes. Changes in Susan and I, changes in the sounds as they grew in their depth of purpose and the sense of completeness for want of a better word. Recently the sounds have changed again, covering more aspects and levels we never dreamed of, creating changes within us and allowing us to take our knowledge and work to, I believe, the next level. We also became more aware that people will derive whatever it is that they are personally willing to acknowledge, accept, and allow from the sounds and their healing frequencies, does the kindergarten child understand university math? The physical, mental, spiritual and emotional levels of the body will absorb what they need for the individual healing of each person. Often I have described to clients that what they experience when they listen to a sound or sounds does not just resonate at the time, the memory and the vibration and the resonance of the sounds stay deep within the cells of the body for some time to come, and that the effects will often will be ‘picked up’ by other people that they are with, often long after they have heard them. Connie, a gifted healer and a wonderful friend of mine commented to me last year that she could ‘hear’ the sounds resonating from me when we caught up after I had been teaching a short course in Melbourne. What a wonderful thought, and Connie had not been at that course. I have often described the sounds to people as like throwing a stone into a pond and the ripple going out in concentric circles. Susan and I have discussed Quantum Physics [Susan’s subject not mine] and wave and ripple effects. Recording engineers have all commented on the purity of the particular set of bells I use and the harmonic resonance of them, but to be honest I do not believe we ever really understood them until tonight. Tonight as I channelled and Susan and I brainstormed, as often happens we were give information and the words to use, when we asked about the sounds. The words I was given and used when I spoke to Susan tonight were about not only about personal but also about planetary healing, and that the harmonic frequencies of the sounds resonate at high energetic levels and can be related to quantum physics and morphogenic resonance [not words I would normally use] and in fact can be described as “The frequency of all life forms”. I could go on, however I feel the need to leave this there, you will make up your own mind about this amazing gift we have been given, and whether it is for you or not. I wish you love and joy on your own individual journey, and if you are drawn to these amazing sounds, may they be all that you could hope for. To carry on the story, I have known Sheila for about four years now and was working on a project of my own to do with weight loss. In one of our many and lengthy discussions I asked Sheila why some people “lose” weight more easily than others, and we brainstormed a way to communicate with the cells, and the “value” of the words we were using in such cellular communication. This led to Sheila developing a course on the Power of Words, which effectively measured the value of a word to see if its vibration has a positive effect or not on the cells. This in itself was eye opening and went a lot way to explaining why some of my affirmations which I had written for myself, had had little or no effect on me. I was always fascinated by Sheila and her extraordinary ability as a healer and a channel. Her work with the sounds fascinated me, in particular her way of using her spiritual gifts to see beyond the obvious and then relate it back to a practical healing application. We had many discussions about her work, with me playing devils advocate more often than not, and always asking why, why, and why not? They covered levels we knew about and levels we had barely touched upon, they covered levels of healing that I had certainly not known about and included detailed intricacies in their instructions that we could not have possibly thought of – even if we spent the next 50 years analyzing the power of words. Sheila would test to see which emotions needed protocols and test for the words, using kinesiology, which would balance the emotion. Then Sheila would channel a protocol that was certainly beyond my wildest expectations. Some of the earlier protocols that had been created were redone and updated. What has been interesting for me is the turmoil that my and Sheila’s life became in order to recognize which emotion or condition needed addressing. Some of the protocol’s have been triggered by comments made by friends, clients or even passages from books and as unlikely as it seems – long protracted evenings pouring over Roget’s Thesaurus. The end protocols, by my understanding, are powerful statements which address an issue and aspects of an issue on whatever levels necessary. They instruct the body to release stored memories from the cells, which are not of further benefit to the physical, mental, spiritual and emotional levels of the body, or which may be creating a negative effect in and on the body. Then, because as we know, nature abhors a vacuum, beneficial, positive and balancing replacement impressions are made available to the cell. These protocols, I believe, have been gifted to the world through Sheila. The protocols themselves have incredible healing power – but when coupled with the healing capabilities of the vibrational sounds of the tingsaw bells and Sheila’s own powerful intention when she records them. The end result, to my mind, is a synergy that multiplies the healing effects of the recordings well beyond the sum of its parts. It is a case of not 1 + 1 + 1 = 3 but 1 + 1+ 1 = 1000/10. This frequency has been measured by Sheila using Kinesiology. Each of The Healing CD’s all have a vibrational purity of 1000/10. The later sounds that were channelled have encompassed far greater levels of healing within the protocols. Sheila trained the first group of Sounds from Source Practitioners in January of 2007 and I am pleased to say, I was one of the graduates. This last year has been filled with activity, recording new sounds and using the sounds on willing, friends, family and clients. To date, hundreds and hundreds of clinical hours have resulted from using the sounds and from this we have proven to ourselves and others that they are safe, easy to use and they work. The results have been nothing short of amazing, clients emotional issues and behaviours have been cleared or improved. Physical ailments have improved once emotional issues have been helped. Clients have reported being more peaceful, contented, calmer, less stressed and more ‘chilled’ or ‘in the flow’ of life. As a result their health and well being has improved, their close relationships have improved and even their businesses have started to thrive. In the last six months, the source of The Healing Sounds, as I address this body of consciousness, has been sending channelled messages through Sheila for her and me. Basically, telling us to get off our behinds and start sharing this new healing modality with the world – no small thing! The latest offering has been a course on abundance both personal and business which is my own personal passion and this course has proven to be very beneficial indeed for people seeking to express more abundance in their lives. This course is offered through The Sounds From Source sister site www.soundsfromsourceacademy.com which is a personal development membership site enabling the public to access all manner of Healing Sounds and courses, this site is moderated by myself and Sheila and has been built to enable more people to have access to this material. I leave you with this quote to dwell upon, which of all places comes from a science fiction program called Babylon 5. Over the past few months, the sounds have gone through qantum leaps in their vibrational ratings and their effectiveness. While many of the CD’s measure 1000/10. As Sheila and I make progress by smashing through our own barriers and asking better questions, the information has become more in depth and far, far more powerful. Some of our most recent written protocols have vibrational frequencies of 10,000/10, 15.000/10 and most recently 20,000/10 in the written word alone.I feel tremendously honoured and priviledged to share the Sounds from Source with you. I truly believe these transformational tools are a gift of pure light. Over the years these protocols went from a couple to pages to being up to 25 pages or more of written text. In the early days we used to ask how they rated out of 10 and I remember the day we asked if it was possible to get more than a 10. Well it was – and the sounds themselves increased in variety, energetic level and frequency more and more as time went on. Today some of the sounds register in the millons. They have grown to cover areas and situations which years ago I would not have believed existed – let alone embraced. We have sounds which cover things like Stress or Relaxation to Quantum Signatures and Cosmic and Galactic Vows. We have courses and programs which range from basic sets of sounds to assist Massage or Body therapists relax and rebalance their client to intense high level practitioner course’s for entity or curse removal. Due to my own desires and needs, we also have a huge repository of sounds which deal with abundance and prosperity both personal and business. The power and refinement – energy wise of the sounds has increased over the years, just recently we seem to have moved up yet another level as well, with Sheila’s connection being so refined – that the newer sounds are a straight 'download' of vibrational energy and so are shorter in recorded length but exponentially more powerful in every way. As Sheila is downloading the new 'shorter' sounds and ringing her tingsaw bells, she is aware of words and instructions and energetic intention flowing within and through her as she records the sounds. After she has recorded the sounds - then she usually puts pen to paper to ensure that what is within the sounds is captured in print lest the messages and information be forgotten due to her altered state of being. on the site for anyone who is interested to read. understood and were grateful for the opportunity to communicate with a wider audience. As users of the Sounds - it would be worth your while to keep up with this material and also to read Sheila’s Insight’s blog - as a gifted and powerful healer and practitioner, Sheila’s point of view and her ability to channel information not only from Sounds From Source but other beings as well, make for some very diverse and yet poignant posts all of which are written with honesty and the highest of integrity. These factors ensure the blogs within the site will absolutely be a most worthwhile repository of information for you - should you choose to read the content within. If you are a practitioner, then I would highly recommend you visit our educational site Sounds From Source Academy and also read the material in the 'insights blog' and the 'practitioner blog' which is housed on this site. I hope you will use the sounds often, allow them to make a difference within your life and in future perhaps even embark upon further study with us. ‘Our Original Mission Statement’ from 2008 when we launched our the first site. 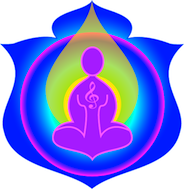 This site is dedicated to bringing The Sounds From Source self development and transformational modality to the world. To aid and assist anyone to embrace living their life to the fullest, and to allowing the very best that they wish into their lives. And lastly, to spreading abundance and peace to anyone who has the desire to use these tools.